Sunday spent in The Garden of Remembrance. 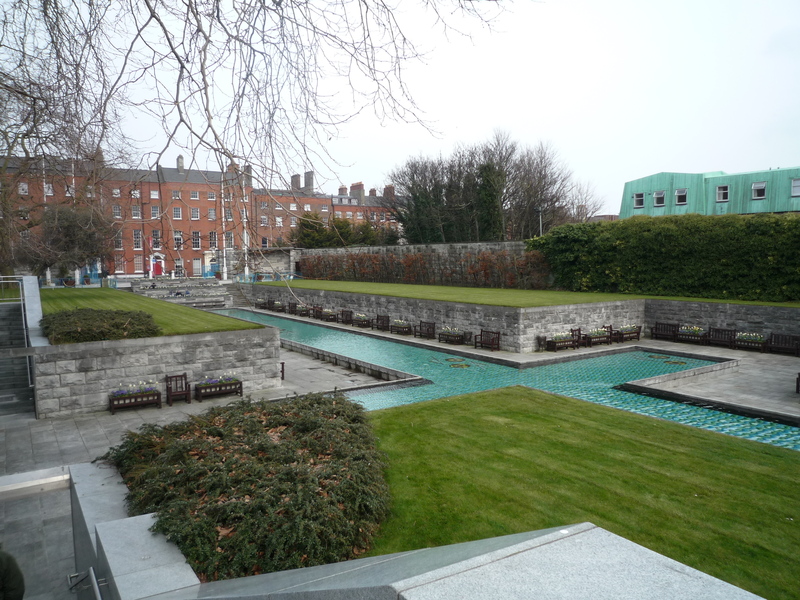 This Sunday J and I took a walk from Grand Canal over the river and up to Mountjoy Square Park and then we went west to The Garden of Remembrance. 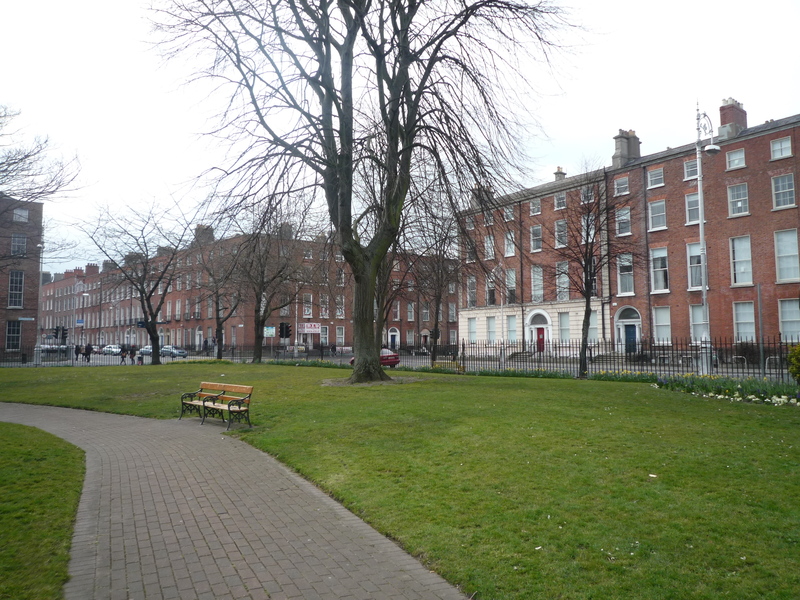 Mountjoy Square has lovely Georgian terraced houses on all four sides and the square itself is very well kept, but there is not much surrounding the square in the way of cafes and restaurants, but it is one of only five Georgian squares in Dublin, so worth a visit. 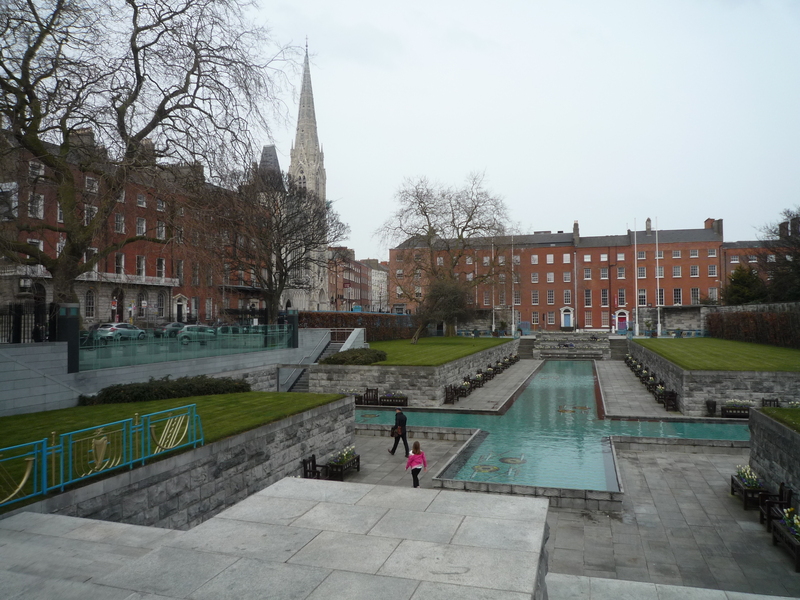 I really enjoyed my visit to The Garden of Remembrance, it was not a all what I expected and even on a cold grey day it was a peaceful and beautiful place to visit. 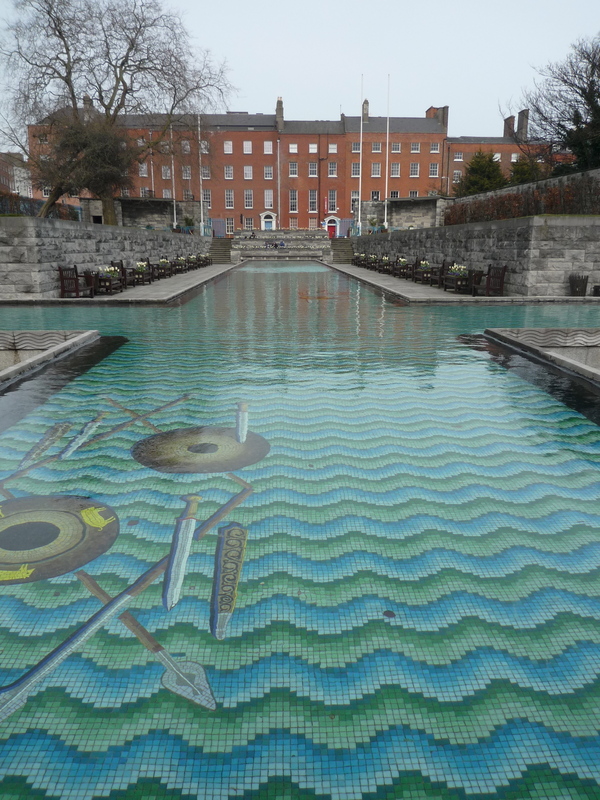 The Garden commemorates freedom fighters from various uprisings and features a sunken cruciform water feature designed by Dáithí Hanly and a state of the Children of Lir by Oisin Kelly. 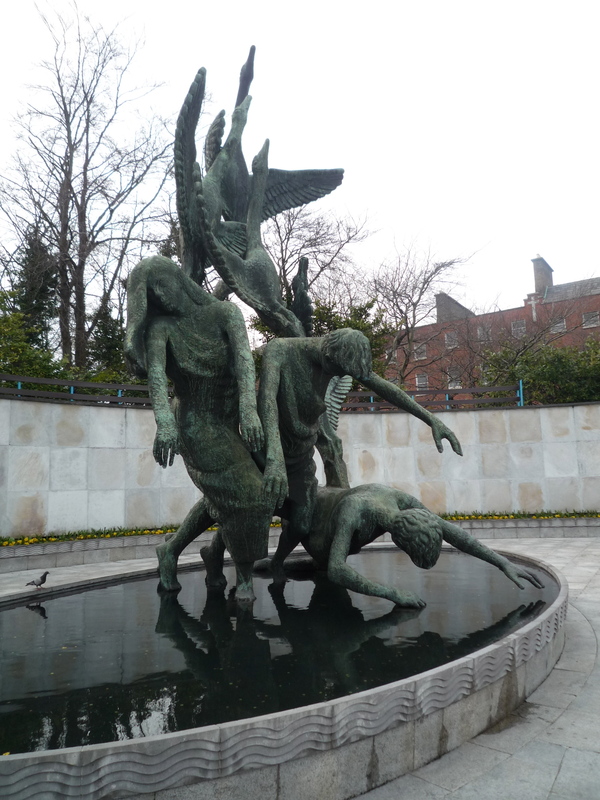 Statue of the Children of Lir by Oisín Kelly. 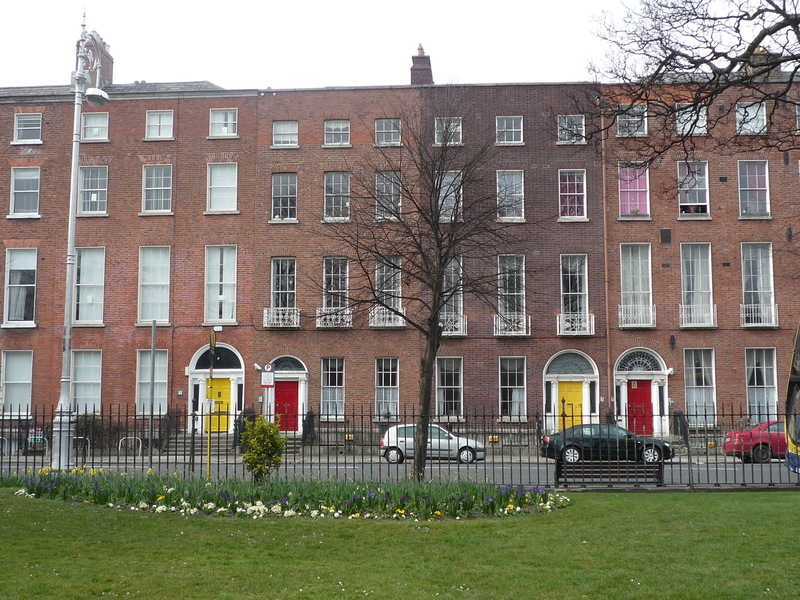 What to see close by: Near to The Garden of Remembrance is The Gate Theatre and The Rotunda Hospital which was originally known as ‘The Dublin Lying-In Hospital’ and has been on the site since 1757. 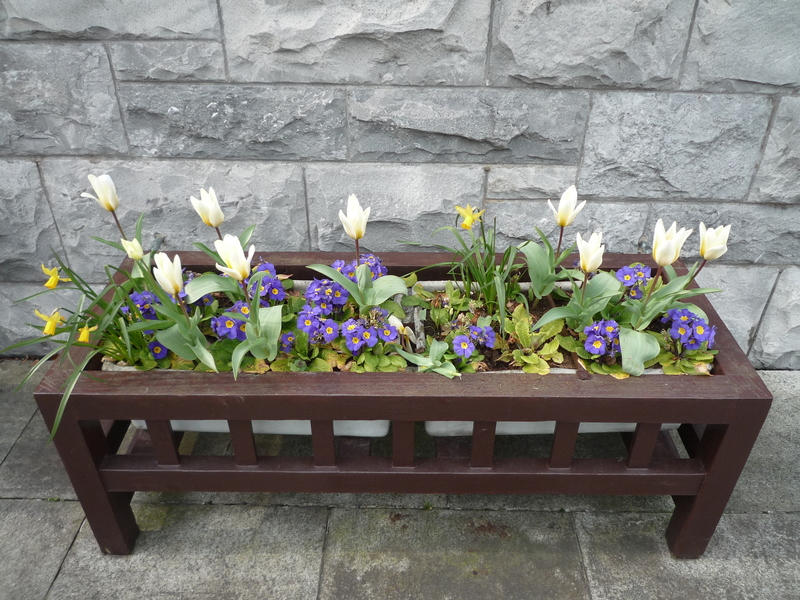 Click here for a map to The Garden of Remembrance. Click here doe a map to Moutjoy Square.